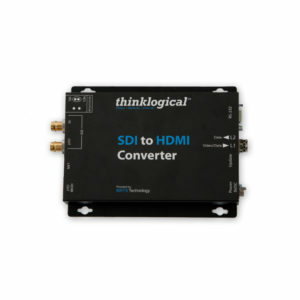 The Thinklogical SDI to HDMI Converter allows you to seamlessly convert a broadcast quality SDI signal to HDMI. The SDI to HDMI Converter is fully SMPTE compliant, including the active loop out port. System features include user SDI embedded audio conversion to HDMI output and remote control of the user interface via serial port (RS-232) and Ethernet port.